Hi! 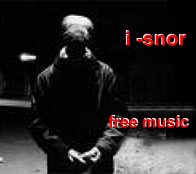 very vey nice site. Good work and have a nice time. Hi there, just became aware of your blog through Google, and found that it is really informative. Iâ€™m gonna watch out for brussels. I will appreciate if you continue this in future. Lots of people will be benefited from your writing. Cheers! Hello, I wanted to ask you something. Is this site a wordpress webpage? We’re considering moving our weblog from Blogger to wordpress, ya think this can be feasible? Also did you design this particular template yourself some how? Regards for the help! Yes it is a wordpress webpage. It is easy to move a Blogger weblog to WordPress. No problem. The design is a WordPress design : Twenty Ten. You need to have to join in a contest first with the finest blogs on the web. I most certainly will suggest this internet site! I’d should examine with you here. Which isn’t one thing I usually do! I enjoy studying a post that may make individuals think. Additionally, thanks for permitting me to comment! You can definitely see your skills within the paintings you write. The arena hopes for more passionate writers such as you who are not afraid to say how they believe. All the time follow your heart. I like Your Article about mesLivres | CE QUE PIERRE C. J. VAISSIERE ECRIRA PEUT-ETRE Perfect just what I was searching for! . I like Your Article about mesLivres | CE QUE PIERRE C. J. VAISSIERE ECRIRA PEUT-ETRE Perfect just what I was looking for! . Thanks for sharing mesLivres | CE QUE PIERRE C. J. VAISSIERE ECRIRA PEUT-ETRE with us keep update bro love your article about mesLivres | CE QUE PIERRE C. J. VAISSIERE ECRIRA PEUT-ETRE . I agree with your mesLivres | CE QUE PIERRE C. J. VAISSIERE ECRIRA PEUT-ETRE, wonderful post. Thankyou for sharing mesLivres | CE QUE PIERRE C. J. VAISSIERE ECRIRA PEUT-ETRE with us keep update bro love your article about mesLivres | CE QUE PIERRE C. J. VAISSIERE ECRIRA PEUT-ETRE . Nice post. I study one thing tougher on totally different blogs everyday. It should at all times be stimulating to read content material from other writers and follow a bit of one thing from their store. I’d choose to use some with the content material on my weblog whether you don’t mind. Natually I’ll give you a link on your net blog. Thanks for sharing. Appreciate it for sharing mesLivres | CE QUE PIERRE C. J. VAISSIERE ECRIRA PEUT-ETRE with us keep update bro love your article about mesLivres | CE QUE PIERRE C. J. VAISSIERE ECRIRA PEUT-ETRE . Thanks. This blog is designed by WordPress, Twenty Ten theme. I really like your wp theme, exactly where do you obtain it from? Academic and also entertaining. I’ve further your web sign to be able to my personal â€œreading compound. â€ Development myself up to date!. . . . I agree with your mesLivres | CE QUE PIERRE C. J. VAISSIERE ECRIRA PEUT-ETRE, superb post. I agree with your mesLivres | CE QUE PIERRE C. J. VAISSIERE ECRIRA PEUT-ETRE, great post. I agree with your mesLivres | CE QUE PIERRE C. J. VAISSIERE ECRIRA PEUT-ETRE, good post. Whats up, Needed to ask you some thing. Is this a wordpress blog page? We are planning on switching my webpage from Blogger to wordpress, ya think this is probable? Also did you produce this specific theme by yourself some how? Thanks a lot for the assistance! This is a blog WorPress, as it is. Twenty Ten theme. I’m curious to find out what blog system you are working with? I’m experiencing some minor security problems with my latest site and I would like to find something more risk-free. Do you have any solutions? This is a blog WordPress.com. Safety is optimum, PHP language is not accepted. Hi! Is it ok to use these information in my prject? thanks! What information are you talking about? 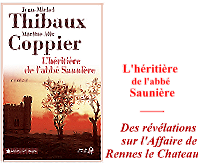 Are you referring to the page « mes livres » of this blog « Ce que Pierre CJ Vaissiere écrira peut-être » ? Whats up, I need to ask you something. Is this site a wordpress blog? My organization is thinking about switching our web site from Blogger to wordpress, you think this is probable? Also did you design this template by yourself some how? Thank you for your assistance! If we refer to a Blog of PIERRE CJ VAISSIERE, it is actually a blog WorPress. WordPress has many themes. Twenty Ten is the one I use for my three blogs. You can easily import a Blogger blog to WordPress (in WordPress> Dashboard> Tools> Import). Good luck. 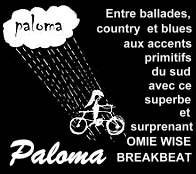 If this is the blog « Ce que pierre vaissiere écrira peut-être » or the other two, they are updated at least once a week. Your written piece, mesLivres | CE QUE PIERRE C. J. VAISSIERE ECRIRA PEUT-ETRE, really made me stop and ponder this matter. Not only was it well written but very informative as well. I have added your site to my favs list and will be back to read future posts. Pretty great post. I actually just became aware of the blog site and also wanted to be able to declare in which I’ve seriously enjoyed reading the blog page and also discussions. Nonetheless I’ll become subscribing the nourish and also My partner and i expect to be able to browse the blog page all over again. Thank you so much for this comment. I wish you good reading. Excellent goods from you, man. mesLivres | CE QUE PIERRE C. J. VAISSIERE ECRIRA PEUT-ETRE I’ve understand your stuff previous to and you’re just extremely great. I actually like what you’ve acquired here, certainly like what you are stating and the way in which you say it. You make it enjoyable and you still care for to keep it wise. I cant wait to read far more from you. This is actually a terrific mesLivres | CE QUE PIERRE C. J. VAISSIERE ECRIRA PEUT-ETRE informations. Thank you for the rave reviews that makes me a great pleasure. Sincerely. Thanks for your comment. Have a good day. Regards for sharing mesLivres | CE QUE PIERRE C. J. VAISSIERE ECRIRA PEUT-ETRE with us keep update bro love your article about mesLivres | CE QUE PIERRE C. J. VAISSIERE ECRIRA PEUT-ETRE . Thank you for another excellent post. Where else could anyone get that kind of info in such an ideal way of writing? I’ve a presentation next week, and I’m on the look for such info. Magnificent goods from you, man. mesLivres | CE QUE PIERRE C. J. VAISSIERE ECRIRA PEUT-ETRE I’ve understand your stuff previous to and you’re just too excellent. I really like what you’ve acquired here, really like what you are stating and the way in which you say it. You make it enjoyable and you still take care of to keep it smart. I can’t wait to read far more from you. This is really a tremendous mesLivres | CE QUE PIERRE C. J. VAISSIERE ECRIRA PEUT-ETRE informations. Thank you. Do you also browse on my other blogs? Do you read other posts also? Do you read French? Sincerely, good day. Fantastic goods from you, man. mesLivres | CE QUE PIERRE C. J. VAISSIERE ECRIRA PEUT-ETRE I’ve understand your stuff previous to and you are just extremely excellent. I actually like what you have acquired here, certainly like what you’re saying and the way in which you say it. You make it entertaining and you still take care of to keep it wise. I can’t wait to read much more from you. This is really a great mesLivres | CE QUE PIERRE C. J. VAISSIERE ECRIRA PEUT-ETRE informations. Thank you. I wish you more good reads. Sincerely. Nice read! shared it with my friends on gmail! You should get a « Google+ 1 » share button too! Thank you for your comment. I hope you also read other articles on this blog and in the other two. Sincerely. Have a good day. This is sad! If it happens again, go through the contact page and write to your comment. Then I would put in its place. Thank you. Thanks for the blog post. I thought it was awesome. Aw, this was a very nice post. In concept I would like to put in writing like this moreover – taking time and precise effort to make a very good article… however what can I say… I procrastinate alot and not at all seem to get something done. Is What you say really relate to my blog? 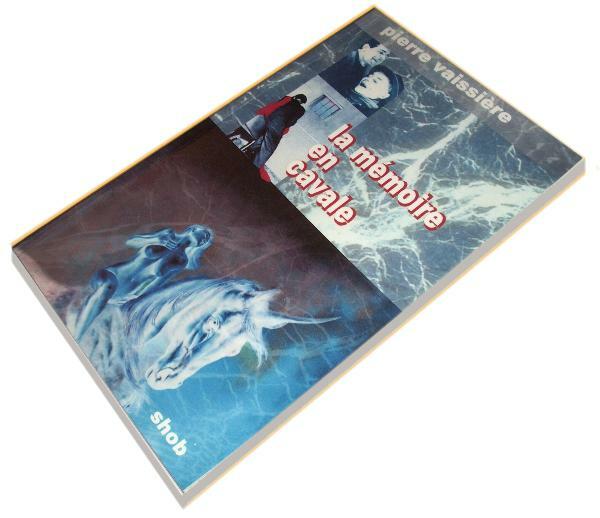 « Ce que Pierre Vaissière écrira peut-être » and my post « ateliers livres »? If so, thank you. However I would like you to tell me a little more. Do you read French fluently? Why do you like these writings? What do you do in life? Who are you? Who are all these users who send me the same comments on almost the same posts? Thank you. However, if your comment is for commercial purposes, be kind to stop sending me. Is What you say really relate to my blog? 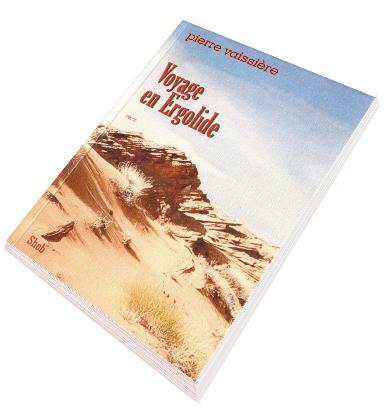 « Ce que Pierre Vaissière écrira peut-être » and my post « ateliers livres »? If so, thank you. This blog is made with Wordpress (free), I recommend for the reliability and safety. You will find on the Web practical information to make a blog easily. Good luck. I agree with your mesLivres | CE QUE PIERRE C. J. VAISSIERE ECRIRA PEUT-ETRE, fantastic post. Is What you say really relate to my blog? 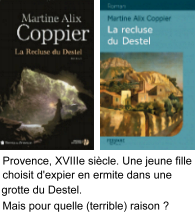 « Ce que Pierre Vaissière écrira peut-être » and my post « ateliers livres »? If so, thank you. However I would like you to tell me a little more. Do you read French fluently? Why do you like these writings? What do you do in life? Who are you? Who are all these users who send me the same comments on almost the same posts? Who are all these users who send me the same comments on almost the same posts? Thank you. I agree with your mesLivres | CE QUE PIERRE C. J. VAISSIERE ECRIRA PEUT-ETRE, excellent post. Ecrire : Sentir battre le coeur, la main qui hésite, le désir de jouer (avec ou sans les mots). Se laisser alpaguer par les idées, qui viennent, comme le poisson par le ver au bout de l’hameçon. Accepter les stupidités, la tête vide, le bruit autour de soi, le vent dans les arbres, l’averse qui écrase les fleurs, le courrier désagréable, le chien qui gueule, le chat qui miaule et qui se balade sur le clavier ou trempe sa queue dans l’encrier. Laisser les cris de joie des gamins entrer par la porte qu’on a laissée ouverte. Laisser courir les doigts sur le clavier. Accepter la transe et la danse des doigts qui n’en font qu’à leur guise. Accepter d’être satisfait, même, et peut-être surtout si ce qu’on a écrit est loin d’être parfait. S’imaginer être connecté à tout ce qui existe. Se laisser envahir par ce qui vient, même et surtout si ça semble stupide. Puis se relire. Gommer ce qui ne bouscule pas les états d’âme, ce qui ne fait pas vibrer d’une façon ou d’une autre. Avoir envie de partager, d’être lu, d’être relu, quitte à être pris pour un idiot ou un fou. Pretty excellent blog post. I just stumbled upon your blog and wanted to say that I have genuinely savored reading your blog site posts. Any way I’ll be subscribing to your feed and I hope you article again soon. Hello,guys,your blog is really great! I like it. Thanks for a marvelous posting! I truly enjoyed reading it, you’re a great author.I will always bookmark your blog and definitely will come back down the road. I want to encourage you continue your great posts, have a nice holiday weekend! I guess :1 – these comments are not related to this blog and are commercial activities. In this case, be nice to stop sending comments, even if what you are selling is worth. I am as poor as Job, I do not buy anything. – 2. These comments are for this blog (Ce que Pierre C.J. écrira peut-être – url : https://pierrevaissiere.wordpress.com/ ), but you are not really very objective : This blog and the texts are not always successful. In any case, thank you. And thank you even more to write comments varied and original. So please, a little less cut and paste, unless you’re really lazy, it’s forgivable. In any case, thank you. And thank you even more to write comments varied and original. Thank you, but tell you what I write in this blog, do you talk to the right person? Fantastic weblog!! You probably should start many more. I really like every one of the info provided. I’ll keep tuned in Top-notch record. Always keep the beneficial work. mesLivres | CE QUE PIERRE C. J. VAISSIERE ECRIRA PEUT-ETRE Wonderful goods from you, man. I’ve understand your stuff previous to and you’re just too great. I really like what you’ve acquired here, certainly like what you’re stating and the way in which you say it. You make it entertaining and you still take care of to keep it smart. I can’t wait to read much more mesLivres | CE QUE PIERRE C. J. VAISSIERE ECRIRA PEUT-ETRE again from you. Thanks For Share . mesLivres | CE QUE PIERRE C. J. VAISSIERE ECRIRA PEUT-ETRE Fantastic goods from you, man. I have understand your stuff previous to and you’re just extremely excellent. I really like what you have acquired here, certainly like what you are stating and the way in which you say it. You make it entertaining and you still care for to keep it wise. I can’t wait to read much more mesLivres | CE QUE PIERRE C. J. VAISSIERE ECRIRA PEUT-ETRE again from you. Thanks For Share . Wonderful goods from you, man. I’ve understand your stuff previous to and you’re just extremely magnificent. I actually like what you’ve acquired here, really like what you are stating and the way in which you say it. You make it entertaining and you still care for to keep it wise. I can not wait to read much more from you. This is really a great web site. Thanks for a marvelous posting! I genuinely enjoyed reading it, you happen to be a great author.I will make sure to bookmark your blog and will eventually come back someday. I want to encourage you continue your great posts, have a nice evening! First of all I want to say great blog! I had a quick question in which I’d like to ask if you don’t mind. I was interested to know how you center yourself and clear your head before writing. I’ve had trouble clearing my mind in getting my thoughts out there. I truly do enjoy writing however it just seems like the first 10 to 15 minutes tend to be wasted just trying to figure out how to begin. Any suggestions or tips? Cheers! D’abord, un grand merci pour votre commentaire. Etre encouragé pour écrire, c’est vraiment très « fun ». Plus qu’être encouragé pour travailler. Car je n’ai nullement l’impression de travailler lorsque j’écris. C’est peut-être pour cette raison que l’inspiration vient, déferle en vagues, parfois vaguelettes gentilles, parfois houle, parfois creux d’une tempête. Je n’ai ni avirons, ni barre, ni gouvernail pour mener ma barque et la laisse porter par les flots et pousser par les vents. Qu’ils soient favorables ou contraires. Pour faire plus simple : je ne fais rien d’autre que laisser mon esprit vagabonder, au gré des éléments et du temps qui les anime. D’où l’irrégularité (la richesse ?) des thèmes, du fond et de la forme de ces écrits. D’une certaine façon, je suis un « glandeur », un « inconscient » (je mets ma conscience entre parenthèse lorsque j’écris), un rêveur, parfois poète, parfois iconoclaste. Si je comprends bien, vous écrivez aussi. Je ne pratique que très maladroitement la langue de Shakespeare, mais ce serait avec plaisir que je lirais vos écrits. mesLivres | CE QUE PIERRE C. J. VAISSIERE ECRIRA PEUT-ETRE Magnificent goods from you, man. I’ve understand your stuff previous to and you’re just too great. I actually like what you’ve acquired here, really like what you are stating and the way in which you say it. You make it entertaining and you still take care of to keep it smart. I cant wait to read far more mesLivres | CE QUE PIERRE C. J. VAISSIERE ECRIRA PEUT-ETRE again from you. Thanks For Share . Thank you for your comment. I have no time to write much as I do, but at some future time I hope to have other books. If you want to read through the books today, let me know and I will give you the code to read these books. But maybe did you read it ? Sincerely. Normally I do not read article on blogs, but I would like to say that this write-up very forced me to try and do so! Your writing style has been amazed me. Thank you, quite great post. Thank you for your comment. I hope you’ll still have fun and interest to read what I write, as I enjoy writing to share my world. Sincèrement.. Thanks on your marvelous posting! I quite enjoyed reading it, you happen to be a great author.I will be sure to bookmark your blog and may come back very soon. I want to encourage you to ultimately continue your great posts, have a nice weekend!